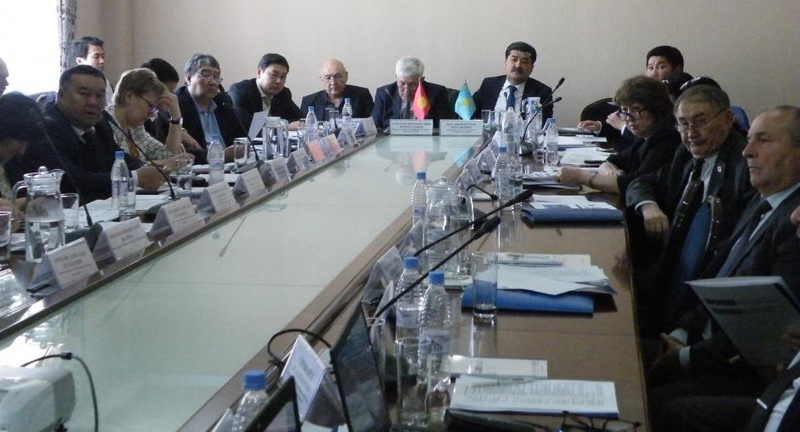 AKIPRESS.COM - An OSCE-supported meeting of the Commission of the Republic of Kazakhstan and the Kyrgyz Republic on the Use of Water Management Facilities of Intergovernmental Status on the Rivers Chu and Talas (Intergovernmental Commission) took place on 14 March 2019 in Taraz, Kazakhstan. Some 50 representatives and experts from governmental entities, hydro-meteorological centres and international organizations from Kazakhstan and Kyrgyzstan discussed water withdrawal limits, the maintenance of hydro-technical facilities and co-operation prospects aimed at sustainable sharing of water resources in the transboundary river basin. The event was organized by the OSCE Programme Office in Astana, Kazakhstan’s Agriculture Ministry and the Secretariat of the Intergovernmental Commission and aimed to involve broad public participation into the management of water resources in the Chu and Talas River basins. The Chu and Talas rivers represent crucial sources of water for Kazakhstan and Kyrgyzstan utilized for agriculture, fish farming, hydroelectric power and domestic needs. An agreement between Kazakhstan and Kyrgyzstan regulating the operation of water facilities on the transboundary Chu and Talas rivers was signed in 2000. Both countries agreed to share costs for the facilities on a pro rata basis in accordance with the water volume received by each country. The joint Intergovernmental Commission, which was established in 2006 and meets twice a year, aims to discuss the ongoing water-sharing schedule and operation of hydro-technical facilities in line with the 2000 Agreement. The event is part of the Programme Office’s multi-year efforts to support transboundary dialogue by involving the representatives of Kazakhstan and Kyrgyzstan. It is in line with the decision of the Maastricht’s Ministerial Council on the OSCE Strategy Document for the Economic and Environmental Dimension that underlines the importance of water diplomacy in the regional context.